More than a dozen adults with developmental disabilities found adventure on the water Wednesday when they tried their hands at outrigger canoeing at the Newport Aquatic Center. 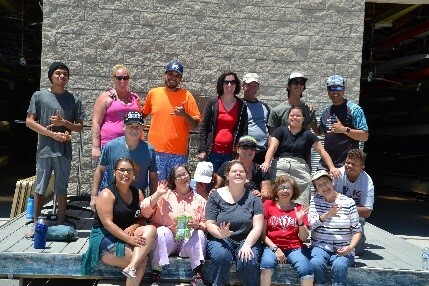 The paddlers are clients of the Costa Mesa-based nonprofit Project Independence and participate in its Access 2 Adventure program. The activity was arranged with the Makapo Aquatics Project, which was founded in 2007 to provide recreational outrigger paddling for blind and visually impaired people.